Commercial ostrich farming started in South Africa in 1864 – The Oudtshoorn region is considered the ostrich capitol of the world since ostrich farming, as a big commercial enterprise, originated here. 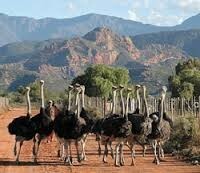 Our semi-desert climate is ideal for ostrich farming since they are desert birds and can’t stand cold wet climates. 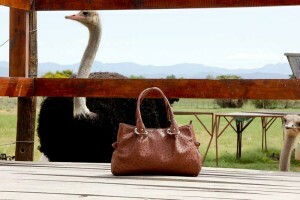 The biggest ostrich abattoir in the world and ostrich leather tannery is to be found in Oudtshoorn. 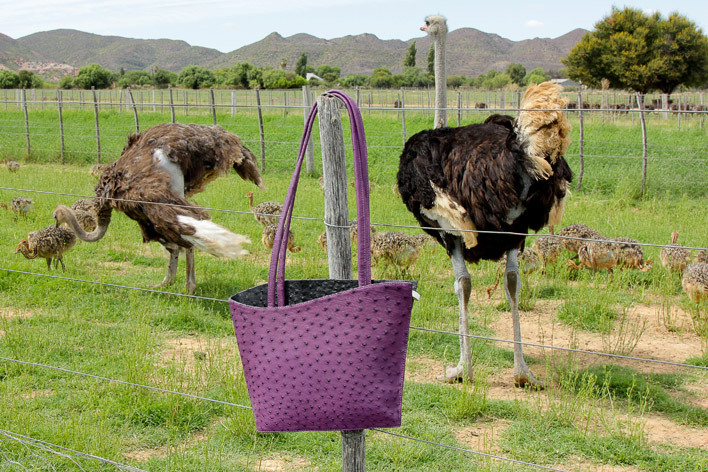 The ostrich industry in Oudtshoorn is therefore an export orientated industry with South Africa supplying ostrich meat (fillet and Steak) and leather and feathers to many countries world-wide. 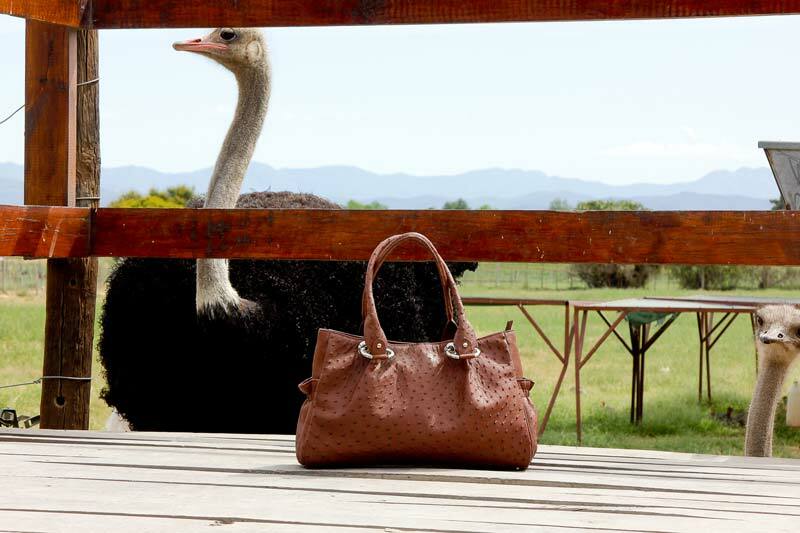 Ostrich leather is easily recognised as a precious material; therefore, any product made from it is immediately elevated to luxury status. There are of course other countries that also farm with ostriches on a commercial basis like us – Iran and Pakistan just to name two. We, however, pride ourselves in not only being leaders in the supply of quality ostrich products to the world but also very importantly in the way we farm with these magnificent “giants”. Did you know that although farmed, ostriches lead very free and natural lives, making it a green choice? Farming practices are strictly regulated; thus ensuring humane treatment of the birds. 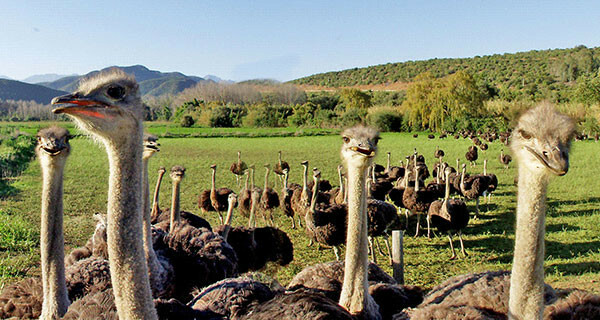 Ostriches are endemic to South Africa and with the vast wealth of knowledge and experience from farming with them for over 100 years the farming practices used here is far better than anywhere else globally. 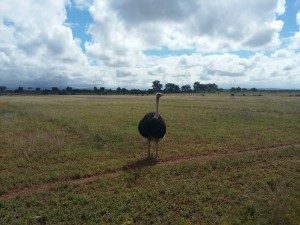 Ostrich Safari – Get close and personal with the world’s biggest Bird!